The relationships formed during Fashion Month are often a bit puzzling, and this season, a few budding friendships left us scratching our heads. For example: Miley Cyrus and Alexander Wang, who raved together in Bushwick after the designer&apos;s spring show, and Cara Delevingne and Kim Kardashian, who are apparently working on a secret project with Love editor Katie Grand. The most confounding one of all, however, is most definitely Justin Bieber and Karl Lagerfeld, who hung out at Carine Roitfeld&apos;s CR Fashion Book bash this week, taking a selfie together so we all know it&apos;s real. The bro-ing out didn&apos;t stop there: On Thursday evening, Bieber posted a neat little collage on Instagram of himself posing alongside the 81-year-old designer with the caption, "Big things coming with my friend Karl Lagerfeld." From the looks of it, Lagerfeld — who&apos;s a skilled photographer — probably just shot some portraits of a shirtless Bieber in his studio while they were still in Paris, and to be honest, we can&apos;t think of a better way for the singer to capture his washboard abs, bad tattoos and creepy mustache for posterity. But, could there be more to this partnership? A music video, perhaps? Or a capsule collection of tight t-shirts and low-slung jeans? 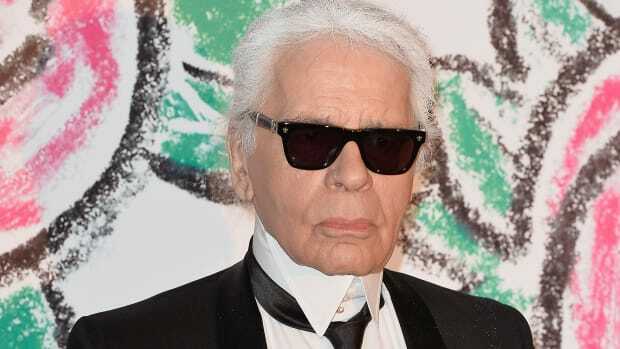 A spokesperson for Lagerfeld didn&apos;t immediately respond. But whatever it is, it&apos;ll likely explode the Internet. Watch this space. And even if this is a one-shot deal instead of a lifelong friendship, the Kaiser and the Biebs will always have Paris. And Olivier Rousteing introduces the world to his British "Balmain Army."